Many of our tour guest often arrive in the base city where our storm chasing tours will begin a few days early to overcome jet lag and be ready for a full week of storm chasing. We’ve put together this base city profile to help our guest who want to get a jump start on finding good places to eat, and fun things to do while roaming the streets. Just be warned that we will visit at least some of these places during the course of our week in Tornado Alley. We choose Oklahoma City as the base of operations for our May storm chasing tours because of two important factors. First, it’s located in the heart of Tornado Alley and second, it’s an intersection of Interstate 35 and 40 corridors, which allows us quick and easy access to travel in any direction on a well maintained divided four-lane highway. Additionally, Interstate 44 also crosses through Oklahoma City allowing travel between Joplin, Tulsa and Wichita Falls. Oklahoma City is the capital and largest city in Oklahoma with a population of 1.3 million, it ranks 27th in population in the United States. It is the largest city in the United States by land area whose government is not consolidated with that of a county or borough. The city is situated in the middle of an active oil field and oil derricks are even on the capitol grounds. In fact, one of the first things you’ll notice when exiting the Will Rogers World Airport in the hotel’s shuttle are the pumpjacks on the airport property, oil is extremely important to Oklahoma’s economy. But there is much more to Oklahoma CIty than just what lies beneath the surface! Oklahoma City was founded during the Land Run of 1889 (Oklahoma became a state in 1907) and the population quickly grew to over 10,000 within hours of it’s founding. Since it’s founding, Oklahoma City has been struck with more tornadoes than any other metro area in the United States, including nine violent F4 tornadoes and the historic May 3rd, 1999 F5 tornado that did more than a billion dollars worth of damage and unfortunately took many lives. The nearby City of Norman is home to Oklahoma University and on the campus grounds you’ll find the National Weather Center. 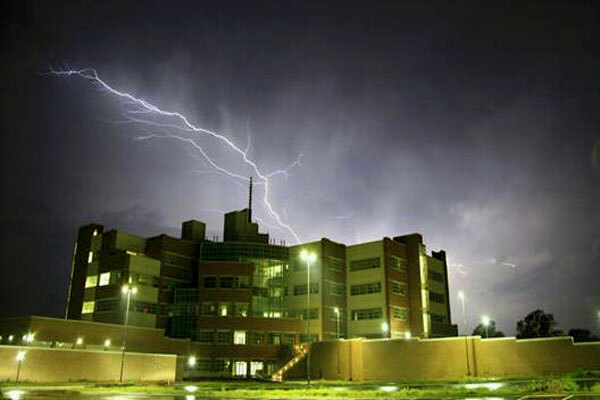 This state-of-the-art facility is home to many of the National Weather Service’s offices relating to severe weather including the Storm Prediction Center, the National Severe Storm Laboratory, the Radar Operations Center, the local Warning Forecast Office for central and western Oklahoma and much more. The meteorologists and technicians who work within these offices are responsible for severe thunderstorm and tornado watches, as well as maintaining the entire radar network for the lower-48 states! When it comes to severe weather, Oklahoma is king! 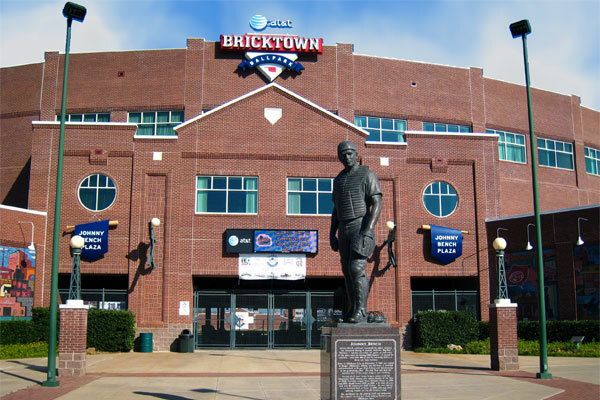 In downtown OKC, you’ll find Bricktown, which features history, tourist attractions, restaurants, shopping, and events in the area of Oklahoma City’s first wholesale commercial district. 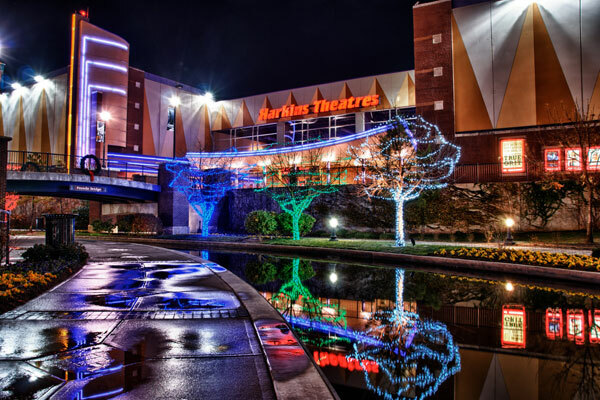 Today a top-rated entertainment district, Bricktown hasn’t always had such happy times. The first brick buildings appeared in the late 1890s when four railroad companies began using the area for major freight operations. By 1930, there were many multistory brick buildings in the wholesale district with working-class housing located nearby. In the 1990s OKC’s mayor Ron Norick realized his city needed to be revitalized in order to be able to fairly compete with other cities and attract new businesses. He began a campaign to pass a city tax, which was passed and eventually lead to the construction of a new ballpark and a canal. This brought in many new businesses such as Bass Pro Shops and Toby Keith’s I Love This Bar & Grill, as well as new hotels, a theater and much more. 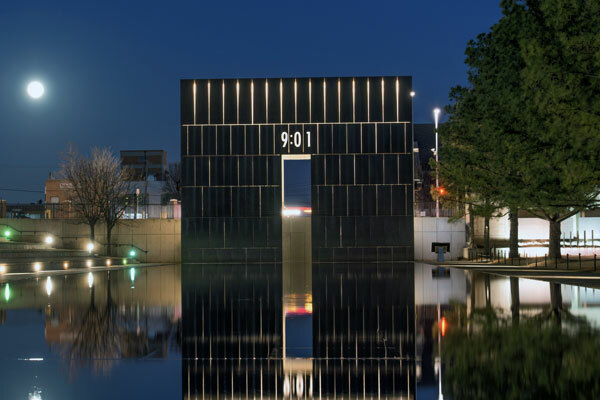 A few blocks away from Bricktown, you’ll find the Oklahoma City National Bombing Memorial and Museum on the site of the former Alfred P. Murrah Federal Building that was destroyed in the April 19th, 1995 bombing which was the deadliest terror attack on United States soil until the morning of September 11, 2001. Also nearby are the Myriad Botanical Gardens, Oklahoma City’s NBA team the Oklahoma Thunder and much more. We think you’ll enjoy your time spent in Oklahoma City. There is something for everyone from food to nightlight to museums and parks. We’ve made a list below of our recommendations along with addresses and phone numbers that will be helpful for you during your stay. You’ll find many great restaurants located close to the airport along Meridian Ave and here is a helpful hint to navigate OKC: North Meridian Ave is north of Interstate 40, and South Meridian Ave is south of I-40. Here are our favorites. * The best burger in OKC! * Close to airport, great food! * Another great place in Bricktown. Home of the OKC Dodgers! Home of the NBA Thunder! * National Weather Center Visitor Info: If you visit without an arranged meeting or reservation for a facility tour by NWC staff, your experience will be limited to only the first floor area which features the Science on a Sphere and the Flying Cow Cafe. Please bring a valid ID, such as a driver’s license, OU, NOAA, or Research Campus ID, to assist with your check in at the security desk. Non-US Citizens should call ahead no less than 2-weeks in advance (a month is recommended) to receive information on security checks and will be required to submit their passport information. This is not a requirement to join our storm chasing tours, this is only required if you wish to visit the NWC during your stay in Oklahoma. Do not make a reservation for a facility tour that interferes with the dates of your storm chasing tour, there is no guarantee that we will be in any given place at a given time during the course of any week of storm chasing. Once again, most of these places are located within the Bricktown Entertainment District next to downtown OKC. 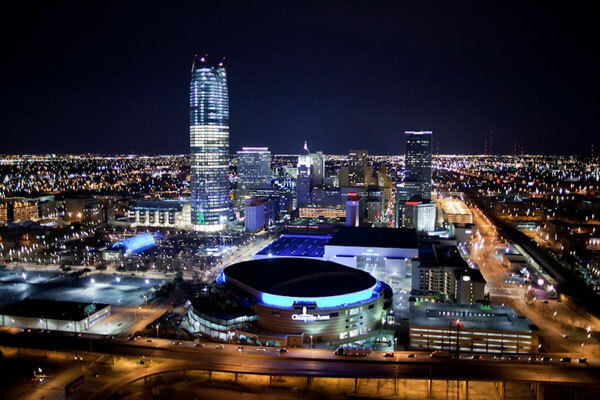 If you do intend to arrive in OKC a few days before your storm chasing tour begins, or stay a few days after it ends, we recommend a hotel in the Bricktown Entertainment District due to the close proximity of many restaurants and attractions within walking distance. You will need to arrange for taxi service to transport you between our base city hotel (located near the airport) and the hotel of your choice near Bricktown.